An exciting new and highly original collection of advanced Dance pieces just released! From Grade 7/8 Early Advanced to ARCT/Diploma level – music that will stand out and capture everyone’s attention! Perfect for Recitals and encores! Take a look at the scores and view You Tube videos here. – all performed by Joseph Ferretti. The CFMTA has published a book containing the scores of the winners of the 2017 Call for Compositions. This book also contains artwork, four of which are my images. You can open the book by clicking here. 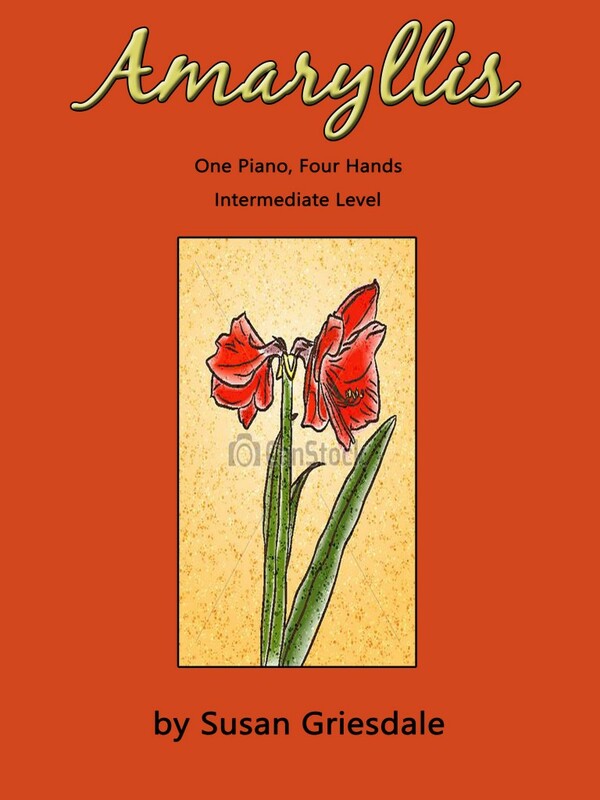 A new piano duet Amaryllis for the intermediate player, about grade 5/6. Graceful, gentle, lush, sparkling and warm to add some sunshine to those bleak winter months. You can see some of the score on the Composition Ensembles page. ‘Hockey Sticks’!! 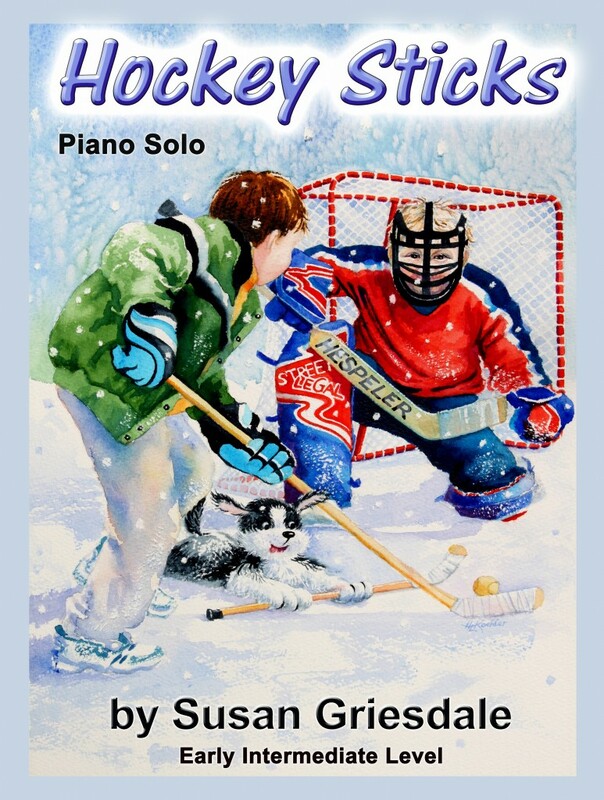 A new solo guaranteed to excite the hockey fans in your studio! Fun to play as you get to score a goal at the end! You can see a score sample at Compositions/Piano Solos. 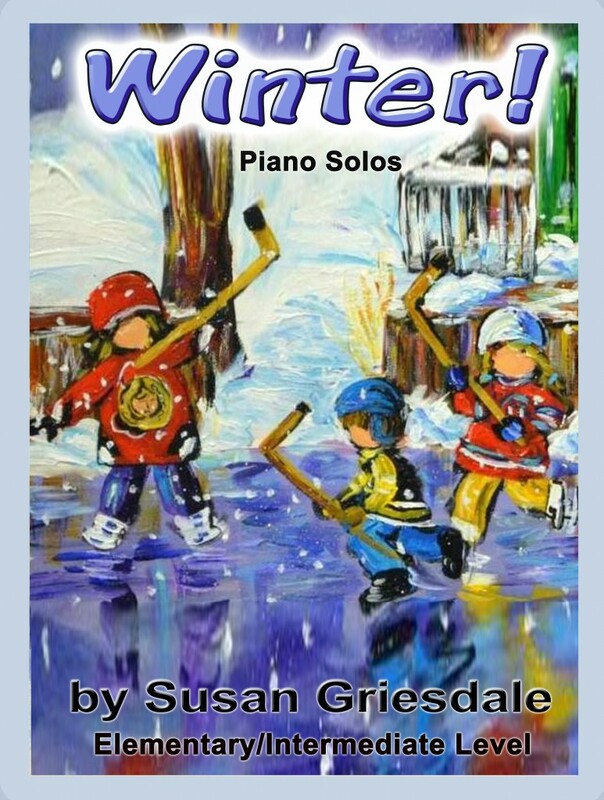 Introducing ‘Winter!’ – a new book of character pieces to lighten the mood of those miserable days of ice and snow and also to celebrate those special exciting moments only found in Winter – like Snowdays and Hockey goals! Music that’s as much fun to play as it was to write. Score samples can be found on the Compositions/Piano Collections page. It’s been a busy time! Another new collection is here. Arctic Voices will take you on a journey of the Arctic with wild and alluring soundscapes. The Piano Collections page has samples of the scores for you to look at. 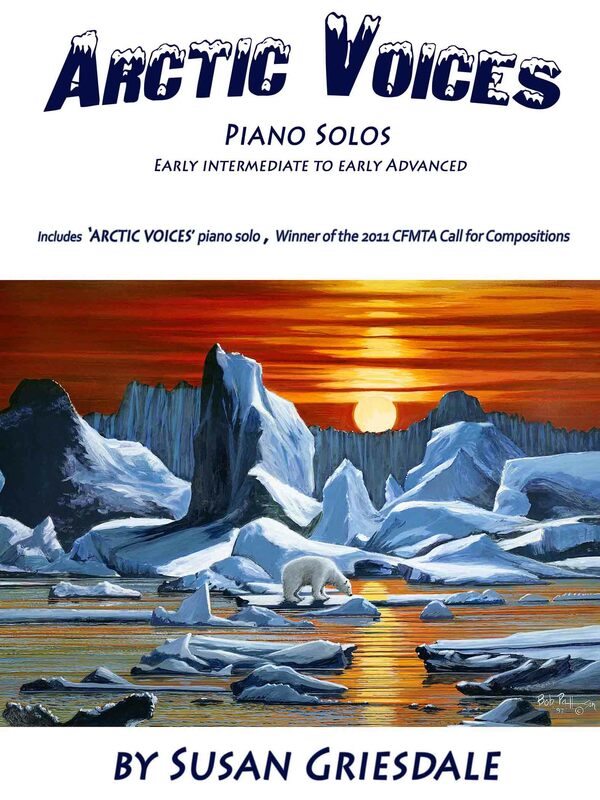 This book contains the “Arctic Voices” piano solo, winner of the 2011 CFMTA Call for Compositions. A new collection of magical pieces your students will love! Elementary to late Intermediate (grade 2 to 5). You can look at the score and hear sound samples on the Piano Collections page. ‘Piano Poems‘– a collection of dreamy, heartfelt piano pieces, all with beautiful melodies, designed to fall easily into the hands. Perfect for teens and adults, in the Romantic style. For Intermediate level. See sample scores and listen to sound samples on the Compositions Collections page. ‘Soundplay‘ is a collection of eight solos for violin. You can see score samples and hear sound samples on the Composition Solo Instrumental page. New Release! My new flute collection ‘Voices from the Earth‘ – Seven evocative pieces for solo flute that offer a fresh and unique sound experience. Look for sound and score samples on the Compositions Solo Instrumental page. ‘Let’s Pretend‘ is now out! Your students will enthusiastically ‘pretend to be’ with each enchanting tale. Every piece includes words to help tell the story. Have fun choosing whether you want to be a ‘Scary Monster’, a ‘Robot’, a ‘Fireman’, a ‘Soldier’, an ‘Alien’, a ‘Wizard’, an ‘Astronaut’, a ‘King’, a ‘Beautiful Princess’, or a ‘Pretty Ballerina’. You can even ‘Fly’ or be ‘Invisible’. For those adventurous types you can also be a ‘Rock Star’ and rap while you play! Lots of fun for everyone!